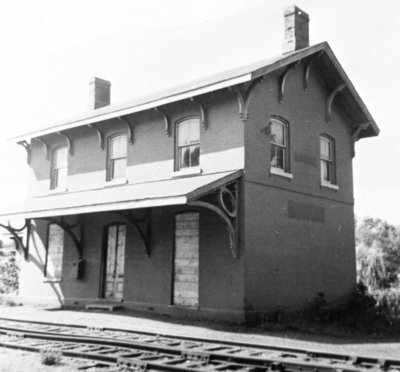 Black and white negative showing the Whitby Uptown train station with the windows boarded up. This photograph was taken just after the train station was shut down. Uptown Station, 1964, Brian Winter, Whitby Archives, 14-002-002.